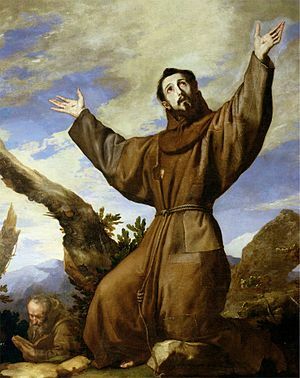 People have long known the story of Francis of Assisi. 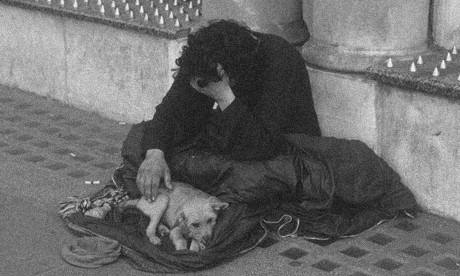 He turned from a life of luxury to one of voluntary poverty with the intention of sharing his possessions with the poor. Francis became an example to his fellow townspeople of the biblical assurance that God does provide. Francis attracted others to his way of life and began the Order of Mendicant Friars. A sister order was established by Clare, to whom Francis was both friend and mentor. In the hymn of praise attributed to Francis, God is exalted for creating all of the elements of the world of which, according to Francis, humans are only one part. Francis placed people in the perspective of God’s whole creation and asserted a kinship among all the elements. 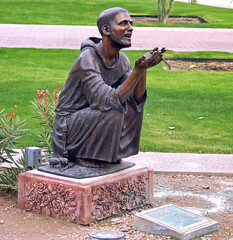 The example of his impoverished life drew others to him and increased the numbers of the Franciscan Order. 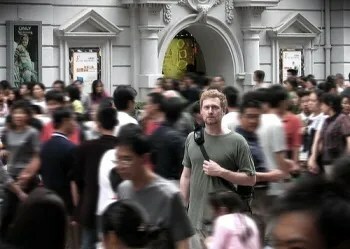 He began the first of the Monastic groups to develop a spiritual life that included a life lived as much in the world as it was a life of contemplative solitude. One day St. Francis of Assisi invited a young monk to join him on a trip into town to preach. The young monk was so honored to get such an invitation from St. Francis that he quickly accepted. All day long he and St. Francis walked through the streets and byways, alleys and suburbs, and they rubbed shoulders with hundreds of people. In today’s world the word evangelism has become a despised and dirty word. I feel that is because we have confused evangelism with marketing. When we market something it is our goal to get the target audience to “buy” our product. For us to achieve that goal, we try to convince the audience that they are dissatisfied with the present product. When Christianity is marketed to the world, it becomes no better than a Wal Mart commercial or an infomercial. No wonder people consider evangelism a bad word. Francis of Assisi gives us an alternative. He says, “No use to walk anywhere to preach unless we preach everywhere as we walk!” That is the real goal of evangelism. We must become the “good news” for all that we touch. They are watching and waiting to see and hear from God. The world yearns for good because there is so much bad.